Your article is published in the traditional manner, available to journal subscribers online and in print and to anyone worldwide by "pay per view"
Once your article has been accepted by the journal’s editorial team for publication, it enters the production process. During this process, you will be sent galley proofs to approve the paper for publication and will be asked to sign a Publication Release form. At this point you will be given the option of having the paper published (a) using the traditional, subscription-based model or (b) as part of Hogrefe’s open access program, OpenMind. 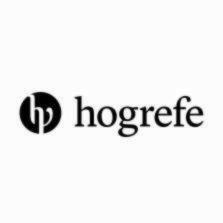 Whichever publishing option you choose, your article will be treated the same way by Hogrefe and by the editorial team of the journal in which it is published. All articles will be peer-reviewed in the usual manner. The decision to accept or reject articles is made before you choose which form of publication you want. All accepted papers will be professionally produced and published both in print and in electronic versions of the journal. Every article will be given a DOI and registered with CrossRef. For further information concerning the process of publishing and distribution please follow this link. This one-time-only article fee means that your article will be freely available online, with open access to anyone, anywhere in the world, at any time. It also means that you, the author, are immediately free to archive or deposit the article permanently in whichever repository you wish. The article will be available electronically via our online journal platform, and any reader will be able to search, download, archive, and distribute it (provided this is for non-commercial purposes). In order to ensure that, no matter what others do with it, the article will continue to be attributed to you, its distribution and use will be covered by what we call the Hogrefe OpenMind License, which is identical to the Creative Commons Attribution-Noncommercial License Version 3.0. For any reuse or distribution, you must make clear to others the license terms of this work. Any of the above conditions can be waived if you get permission from the copyright holder. Nothing in the license impairs or restricts the author’s moral rights.